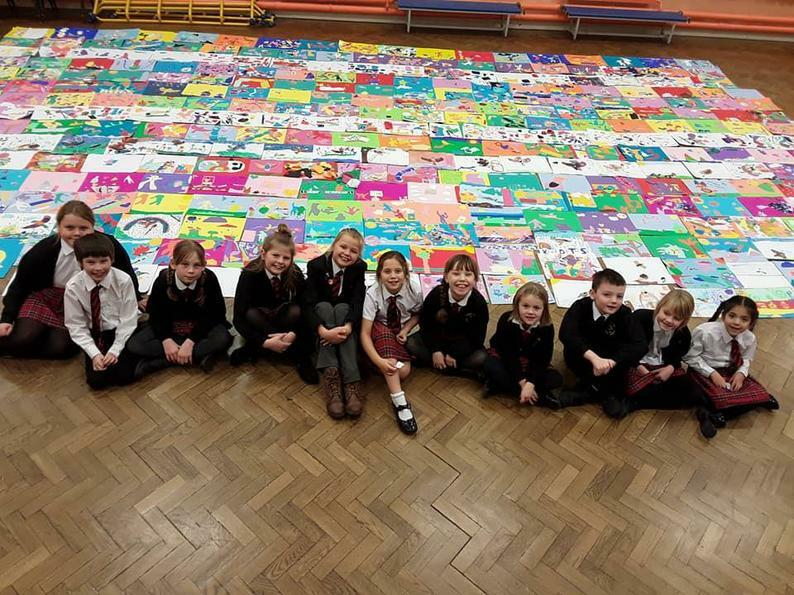 Just before Christmas, Draper’s Mills Primary school received an exciting letter, inviting children in year’s 3-6 to enter the Cheerful Sparrow’s Charity Art competition. Elena from the charity came into visit us and gave an assembly, teaching us interesting facts about house sparrows, as well as sharing information about the Cheerful Sparrow’s charity and the art competition. 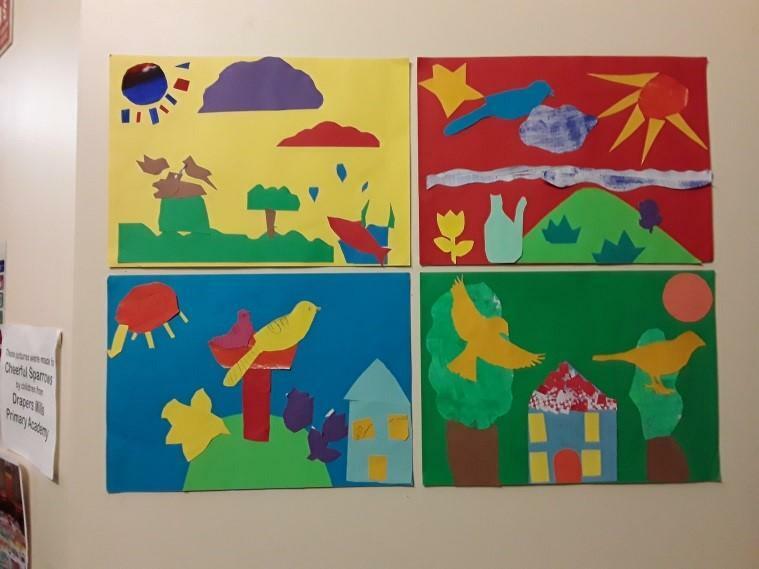 Elena challenged us to each create a cheerful piece of artwork, which, if chosen, would be displayed in the Cheerful Sparrow’s ward at the QEQM hospital. 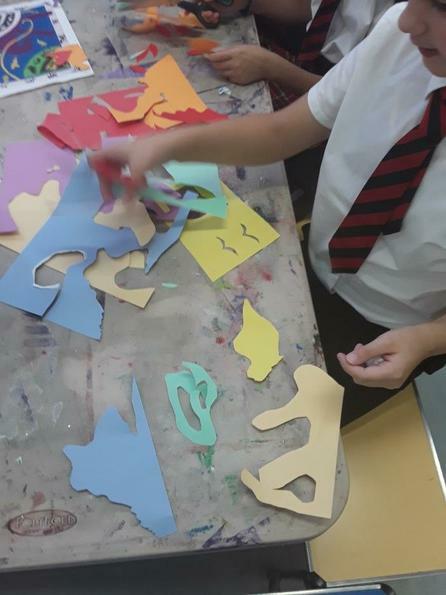 During January and February, children in years 3-6 set about creating their artwork. 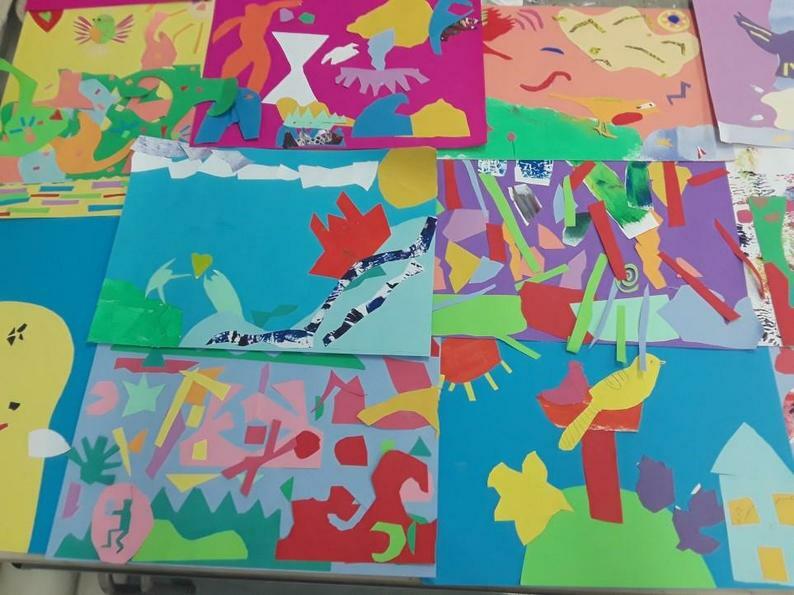 We drew inspiration from the artist Henri Matisse, who himself, spent much of his adult life bedbound, making his ‘paper cut out’ collages, from his wheelchair or bed. 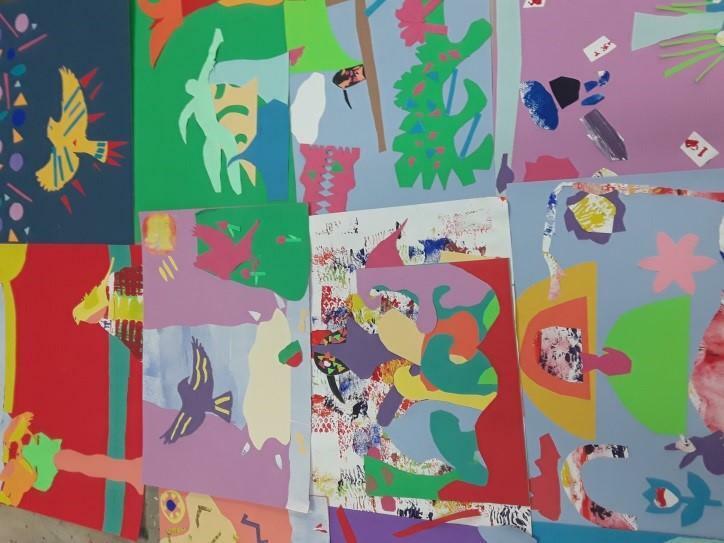 That got us thinking, that maybe his bright, energetic collages were a way of cheering himself up when he couldn’t go outside, much like the patients in the hospital, that we would be making artwork for. 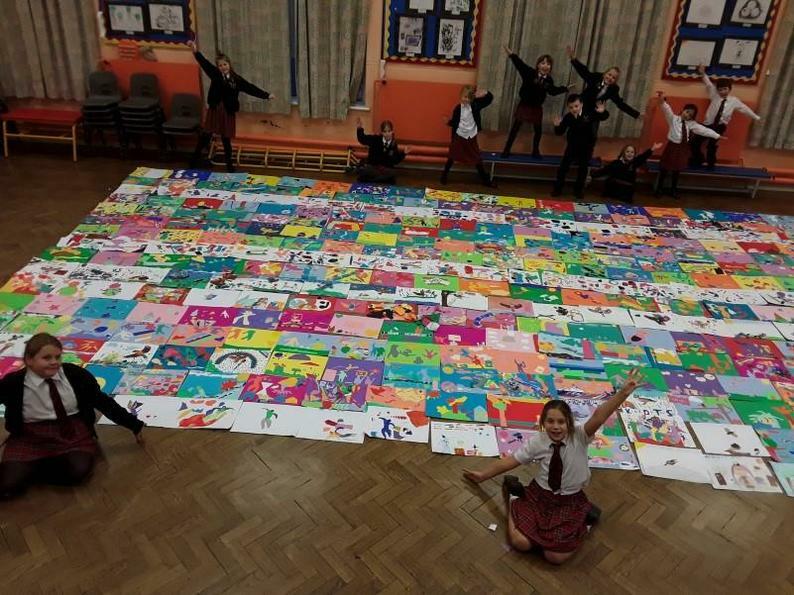 Once we had completed our artwork, the school council presented the collages to Elena (all 300 pieces!). 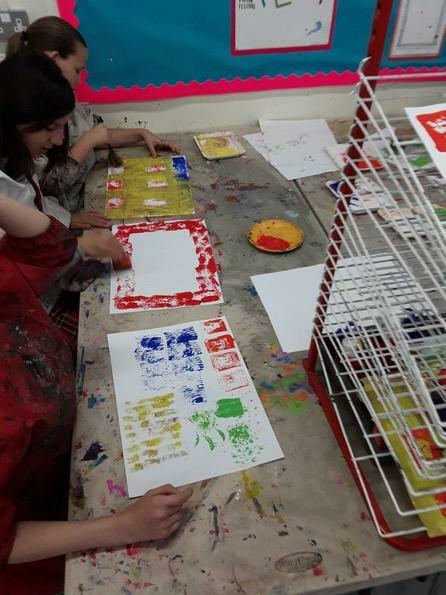 Elena then very carefully selected 3 pictures from each class, to be taken to be judged by members of Broadstair’s Sailing Club. 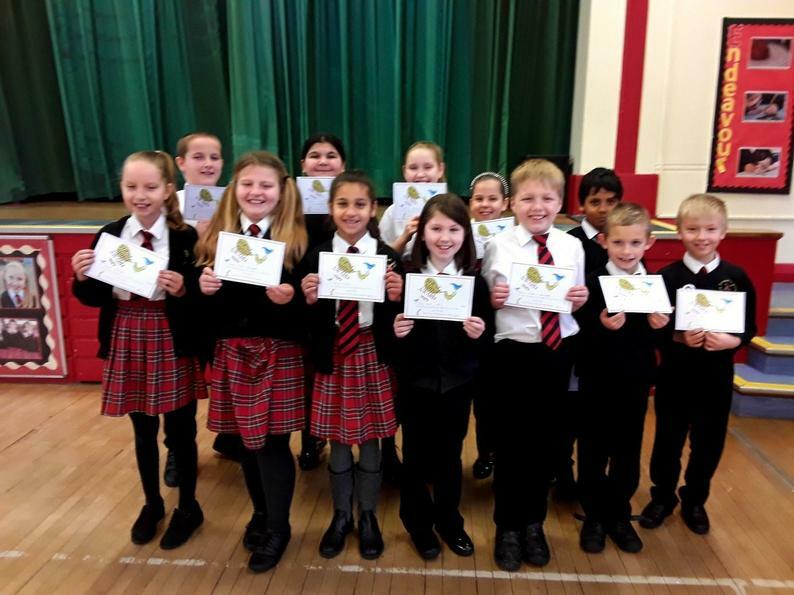 Winners were announced in a special assembly and presented with certificates from the Cheerful Sparrow’s Charity. 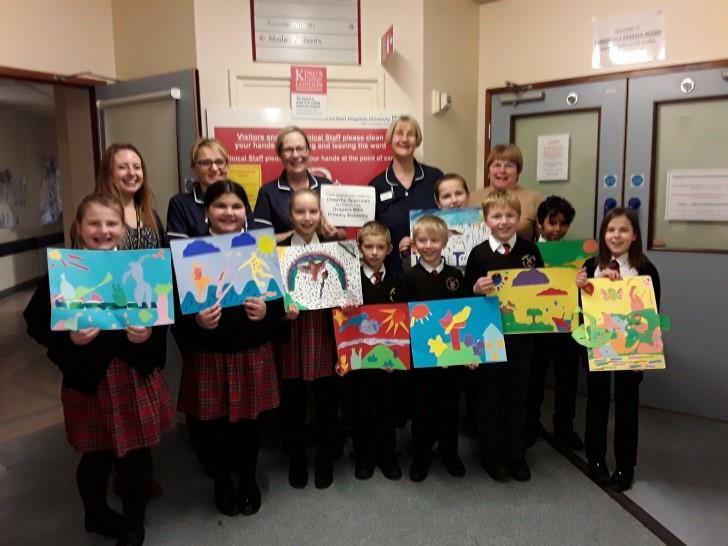 The selected few were also invited to present their artwork to the Cheerful Sparrow’s ward at QEQM hospital. 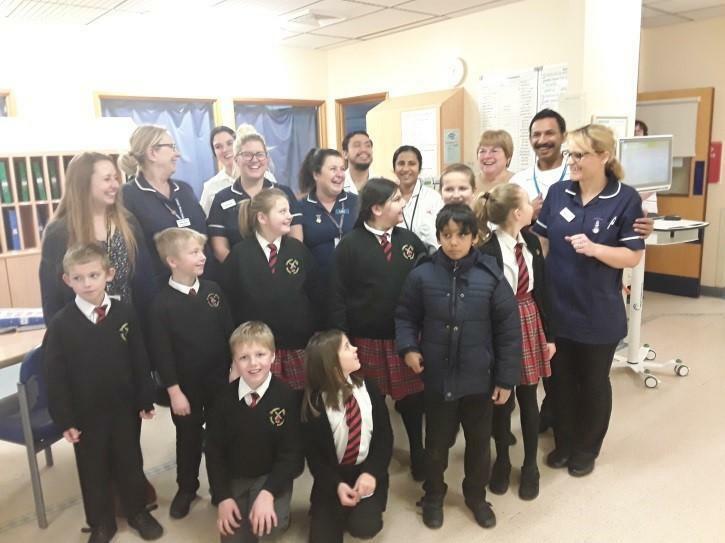 On Tuesday 12th February, 10 of the lucky winners set off by foot from Drapers Mills on our short journey to the QEQM Hospital to see the Cheerful Sparrow ward. Upon arrival, we sat down to wait for Jan from the Cheerful Sparrow’s Charity to come and meet us. We then went through the hospital and up to the ward. 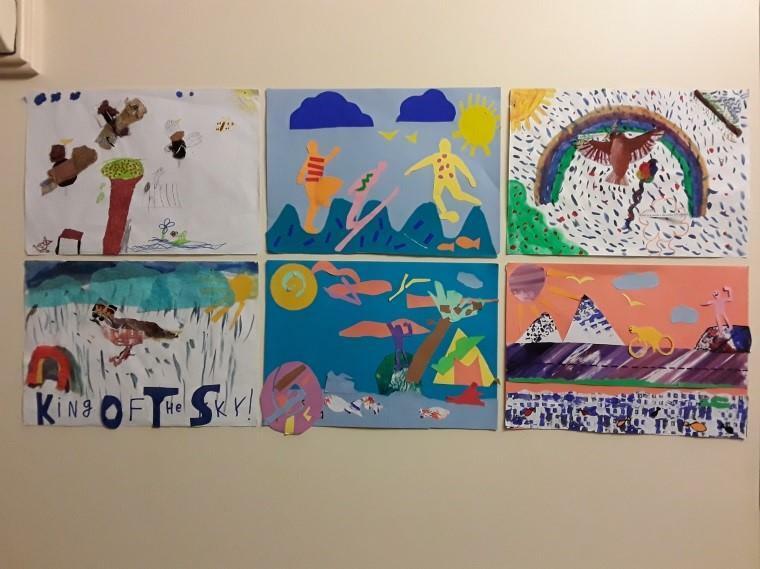 We were invited to arrange the artwork at the entrance of the ward, for all of the patients, staff and visitors to see. 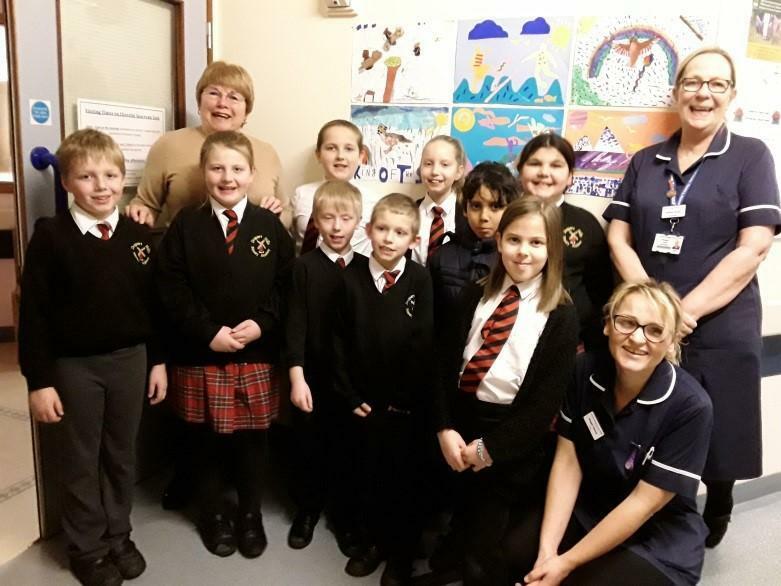 The doctors and nurses came to personally thank us and even found the time to pose for a quick photo! After looking around the ward, Jan very kindly treated us to chocolate cookies and tropical juice! We would all like to thank Elena and Jan from Cheerful Sparrow’s Charity, for all of their hard work, helping those in our community who are less fortunate than us and for giving us the opportunity to be a part of something so special. 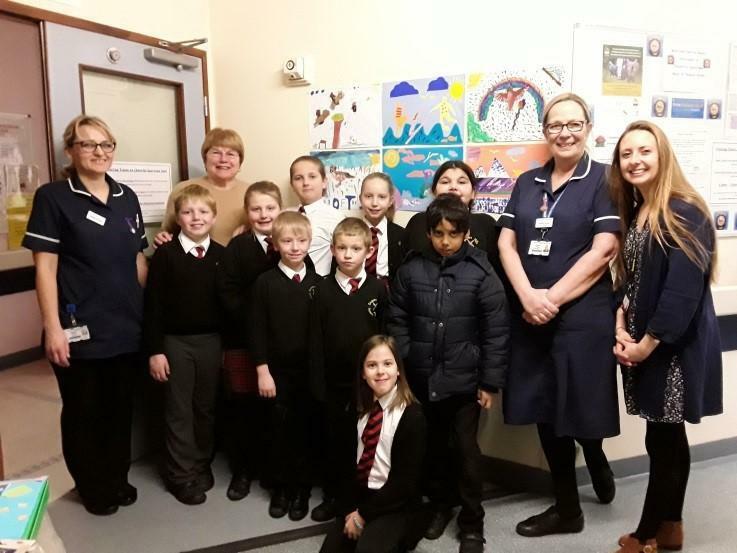 Many thanks also to the nurses, doctors, patients and visitors for making us feel so welcome in the hospital and on the Cheerful Sparrow’s ward. 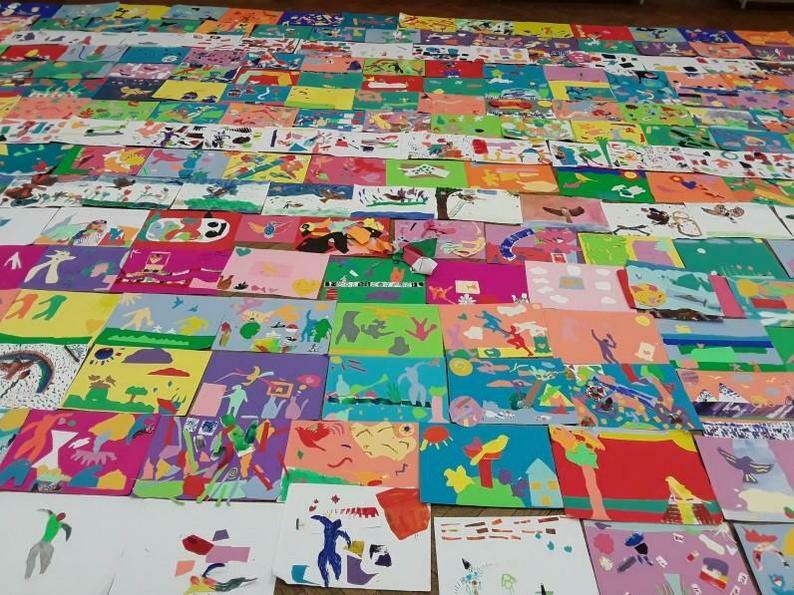 We hope our artwork helps to brighten your day!